Connie is a Mortgage Loan Consultant for Mason-McDuffie Mortgage Corporation. She joined Mason-McDuffie in January 2014. She has more than 17 years of experience in the mortgage banking industry. Connie came to Mason-McDuffie after one year with Caliber Home Loans. She was with Wells Fargo Home Mortgage from May 2005 through January 2013. During her time at Wells Fargo, she was awarded many Outstanding Sales Awards. These awards are given to the top 10% monthly producers for the entire company each month. She was also awarded for being the #2 Top Unit Funder and the #5 Top Dollar Funder in 2011 and 2012. Before Going to Wells Fargo, Connie began her career at Chase Home Finance. Connie was part of Chase's prestigious Leader's Club for both 2003 and 2004, only given to Chase Loan Officers in the top 10% of the nation. Santa Maria and the Five Cities are an important part of Connie's life. She was born and raised in Santa Maria and currently lives in the Five Cities. She tries to give back to the community through volunteer work. She currently volunteers her time at the Marine Mammal Center helping to rescue and rehabilitate sick and injured marine mammals. She has been active in Shoes for Students Golf Tournament for many years. She enjoys meeting other Real Estate Professionals by attending MLS meetings and various other mixers. In 2010, Connie was awarded the Affiliate of the Year Award from the Pismo Coast Association of Realtors for helping coordinate and promote the association and all its fundraising efforts. 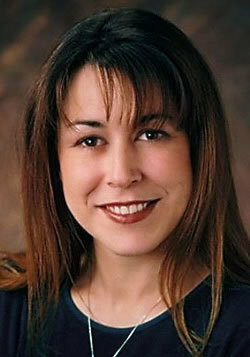 She currently holds the title of Affiliate Chair for the Santa Maria Association of Realtors. Connie continuously strives to educate herself and keep up with the latest mortgage trends. This is the key component to her continued success since her whole goal is to meet her clientele's needs. Connie's whole philosophy is to be proactive and to ensure good customer service through the entire loan process. The end result is a satisfied and loyal client for life. Connie attributes her whole success through the referrals she receives from her clients and friends.